Dale Pierce is the father of Noah Pierce-- a former U.S. soldier in the Iraq War who suffered severe PTSD and who, like more and more soldiers are doing now at an increasing rate, tragically took his own life. Dale has also worked in high-rise buildings in Houston, TX and San Francisco, CA and has an understanding of how they are constructed. In this episode of 9/11 Free Fall he will talk about Noah and the soldier suicide epidemic, as well as what he thinks of 9/11 and the evidence that the Twin Towers and Building 7 were brought down in a controlled demolition. On January 16th, 2013 Architects and Engineers for 9/11 Truth sent a personalized fax to every police chief and sheriff in the United States, outlining some of the key WTC controlled demolition evidence and directing them to AE911Truth.org/Police-2013– a focused portion of the website that includes additional, more detailed evidence for law enforcement professionals to view. The fax requests that its recipients forward the information through their proper channels and also contact AE911Truth to offer their professional advice on how to pursue the criminal matter. On the law enforcement web page, retired California Highway Patrol Sergeant John Meaders introduces visitors to the evidence. In this episode of 9/11 Free Fall, he talks with Andy Steele– and to all police officers who might be listening– about his own awakening to the evidence, and why members of law enforcement need to know about it and act on it. Yaz and Omar are the two activists behind Citizens Aware and Asking-- a letter writing campaign urging The Union of Concerned Scientists (UCS) to provide the public with an honest evaluation of the recent scientific evidence which sheds new light on the events of September 11, 2001. This emerged as a result of an interesting (to the say the least) response from the UCS after Yaz asked the panel at one of its conferences a question regarding AE911Truth's controlled demolition evidence. 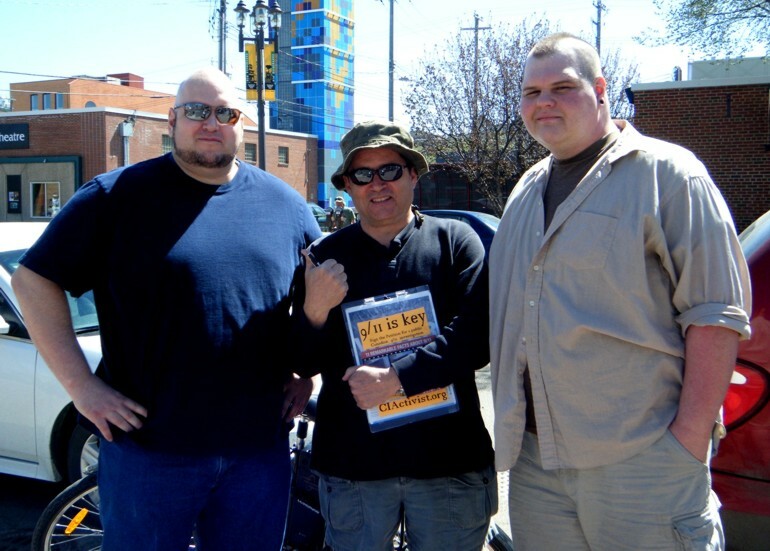 In this episode they discuss their campaign with Andy Steele. Wayne Coste is an electrical engineer with about thirty-five years of professional practice, as well as a dedicated volunteer for Architects and Engineers for 9/11 Truth on its Congressional Outreach and Presenter teams. Recently he's been bringing the scientific evidence for controlled demolition to civil liberty activists and presenting the information on TV as a result of another unknown activist's 9/11 Truth graffiti, which caught the public eye. In this episode of 9/11 Free Fall he discusses latest his work. In this week's episode of 9/11 Free Fall Andy Steele goes over the latest headlines from AE911Truth.org, and sits down with members of its college outreach team to discuss their efforts to reach out to people on university campuses. Because it's impossible to strike out when you come to bat and swing for 9/11 Truth, listeners find out what they can do to help and how to join the college outreach team's ongoing nationwide effort. Dennis P. McMahon is a member of the New York and Massachusetts bars. In 2009, he served as attorney for the 9/11 family members in Burke vs McSweeney, as part of the NYC CAN petition effort to have NYC voters decide whether New York City should have its own investigation into what really happened on 9/11. Dennis was instrumental in introducing the “Building What?” campaign, later renamed “Remember Building 7.” In 2011, he helped coordinate part of the “Investigate Building 7” conference held in West Hartford Connecticut. Dennis currently serves as a member of David Ray Griffin’s Consensus 911 Project, and is a member of the Writing Team at Architects and Engineers for 9/11 Truth. In this special episode of 9/11 Free Fall he talks about the controlled demolition of the Twin Towers and WTC 7 on 9/11, about upcoming 9/11 Truth events he will be involved in, and speaks directly to any and all U.S. government officials who may know about the controlled demolition evidence but are choosing not to act. Russ Baker visited the California coastal community of Point Reyes on 9/29/11. Russ is the author of Family of Secrets – The Bush Dynasty, The Powerful Forces That Put it in The White House, and What Their Influence Means for America. After discussing some very interesting details and facts presented in his book, Russ was able to answer some questions from the audience. Questions ranged from journalism in the 21st century and hackers, to Saudi connections to 9/11 and how Commissions, including the 9/11 Commission ”never, ever get to the bottom of anything“. Watch the video above for more. The Dallas Observer news story about "North Texans for 9/11 Truth"
With the decade anniversary of 9/11 almost here, there's been a run of stories in every media outlet, major and minor, about both the September 11 attacks and the decade that followed. A few of those pieces, including a recent Associated Press report ( http://www.deseretnews.com/article/700176620/From-JFK-killing-to-Sept-11-conspiracy-theories-thrive.html ) making the rounds, have focused on September 11th conspiracy theories. You know the ones: 9/11 was an inside job, the towers were brought down with controlled demolitions, the government knew about the attacks ahead of time -- there are different permutations, but all the theories basically center around the belief that the "official" version of what happened, as told in the 9/11 Commission Report and mostly echoed by the reporting of the country's journalists, is a lie. Hear Richard Gage, AIA, founder of Architects and Engineers for 9/11 Truth, and researcher Chris Sarns on Community Currency radio, Thursday, August 25, 2011, discussing the new videos that Architects and Engineers for 9/11 Truth have been working on, including Architects and Engineers Solve the Mystery of WTC 7 and 9/11 Explosive Evidence - Experts Speak Out which will premiere at the upcoming 9/11 Reclaiming the Truth, Reclaiming Our Future events in the Bay Area, as well as in Toronto, and New York. 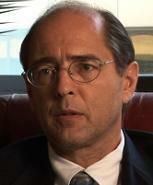 Richard Gage, AIA is the founder of Architects and Engineers for 9/11 Truth. Also known as AE911Truth.org, Richard and his growing organization have spearheaded the Truth Movement in the past couple of years, inspiring more and more professional organizations to form, and people to go public challenging some of the most basic problems and omissions with the official narrative, namely, the destruction of the three steel framed skyscrapers on September 11, 2011. Richard has developed a presentation entitled 9/11: Blueprint for Truth – The Architecture of Destruction which he has given before architects throughout the Bay Area and beyond to the general public throughout the United States, as well as in Canada, Europe, Japan, and Australia. Over 1500 architects and engineers have joined him in signing a petition for a truly independent investigation into 9/11. As 9/11’s tenth anniversary approaches, the issues surrounding that seminal event are just as relevant today and a lot more urgent. Despite the change of management, we still bomb, still rendition, still torture, still illegally wiretap, still detain indefinitely without habeas corpus and without counsel, among other international crimes. These days we can add a few more items to that list like irradiate children, feel up grandma at the airport, and throw people in jail for not paying their credit card bills. Another thing we still do in America: obstruct the truth when it conflicts with the official 9/11 storyline. The RIBA is reviewing its policy on hiring out 66 Portland Place following a storm of criticism over its hosting of a group claiming that New York’s Twin Towers were brought down through a controlled explosion. Leading architects on both sides of the Atlantic hit out at the institute this week after American architect Richard Gage, part of the group Architects & Engineers for 9/11 Truth, delivered a lecture at RIBA HQ on Monday night. The venue was booked by fellow American and RIBA member Craig Phillip Kiner, an associate at Zaha Hadid Architects. Supporters sign 9/11 Petition for Canadian public investigation. Posted: Friday, March 25, 2011 6:02 am | Updated: 7:11 am, Fri Mar 25, 2011. Newtown township - Architects and Engineers for 9/11 Truth wanted to set up a table alongside other symposium participants at Lockheed Martin, but their application was denied. A local symposium about the future of aerospace has attracted the attention - and indignation - of a group of engineers that was denied participation. Architects and Engineers for 9/11 Truth wanted to set up a table alongside other symposium participants today at Lockheed Martin in Newtown Township, but the local chapter of the American Institute of Aeronautics and Astronautics, sponsor of the symposium, denied the application.